We will be hosting a space at the Faire. 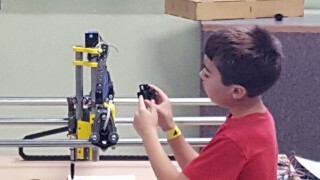 Details and a call for volunteers coming soon. 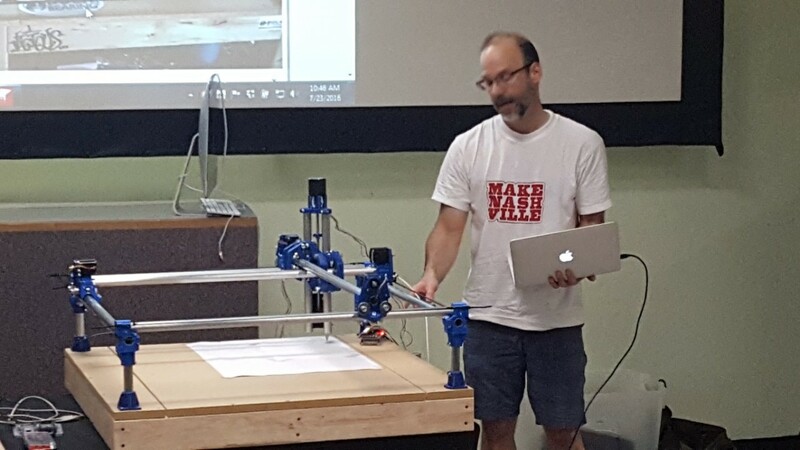 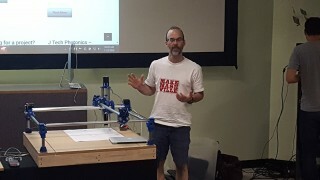 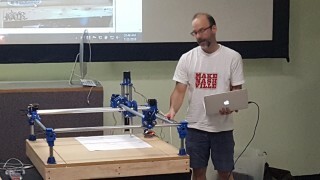 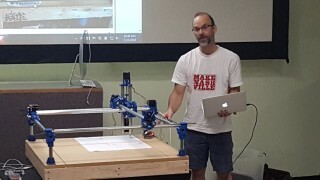 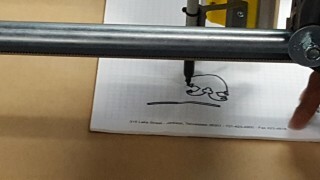 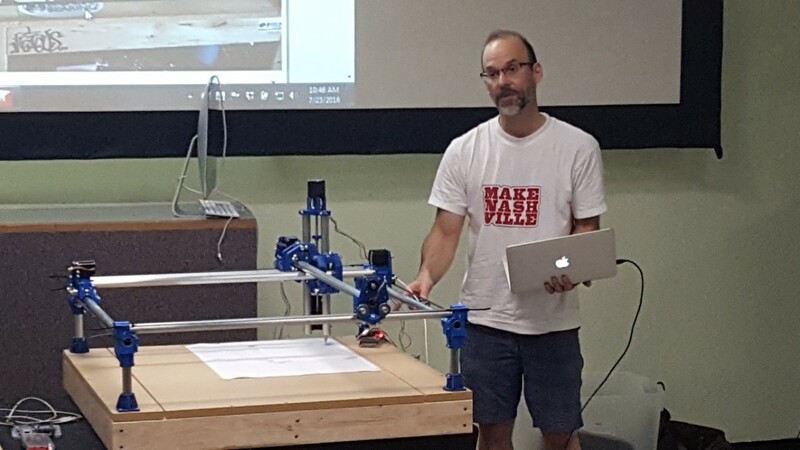 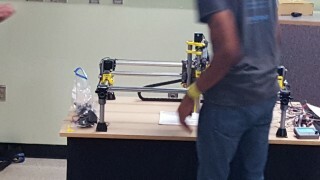 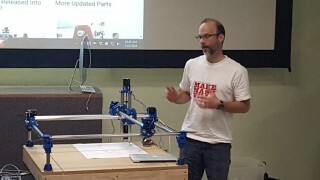 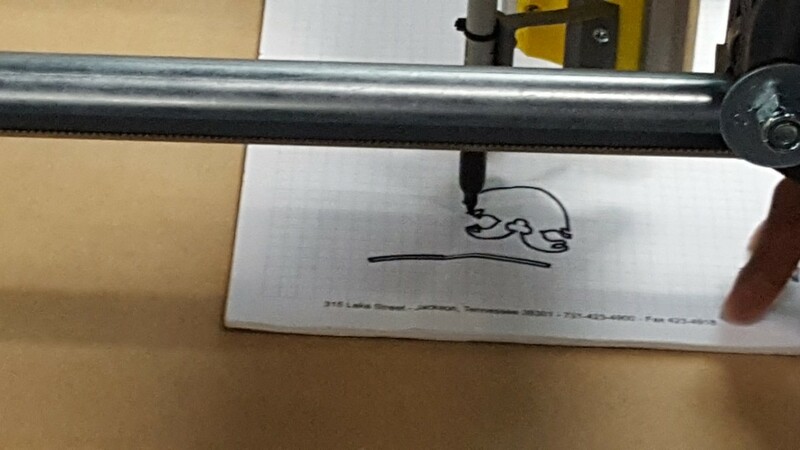 Steve demonstrated his MPCNC project. 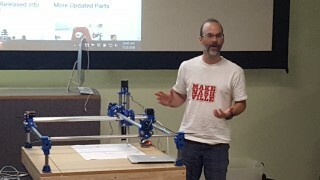 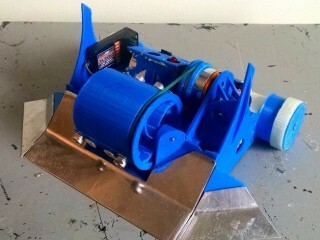 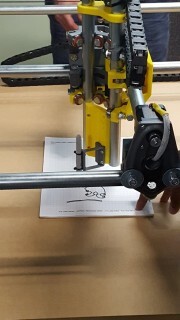 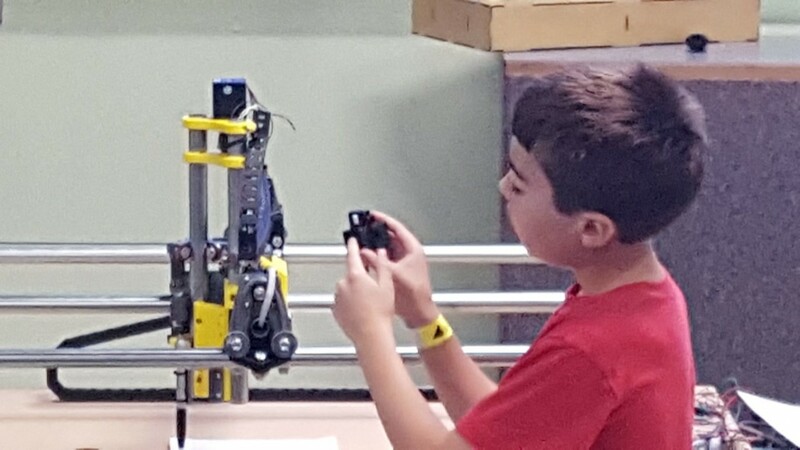 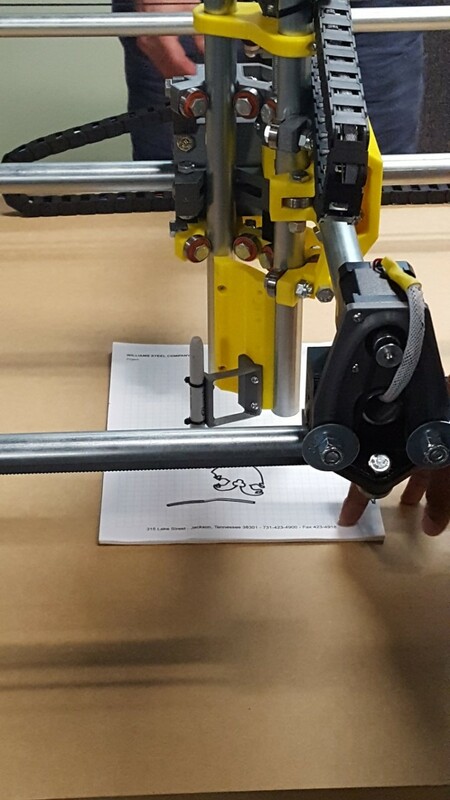 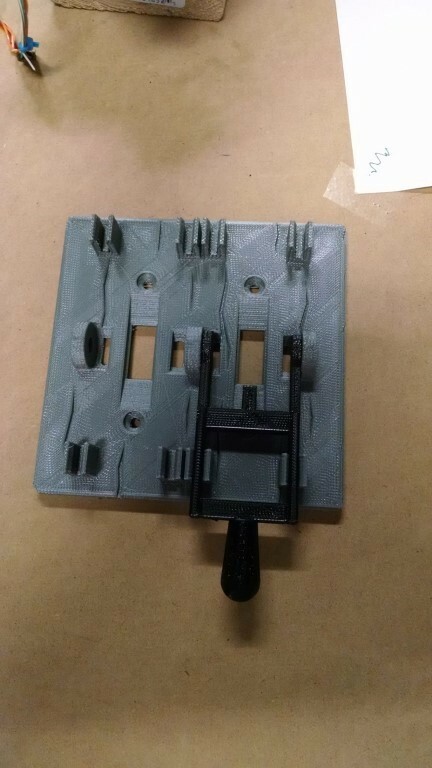 MPCNC is an open source CNC platform that is made from 3D printed and off the shelf components. 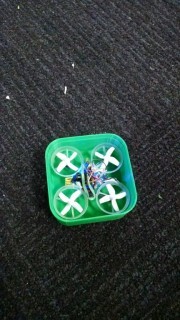 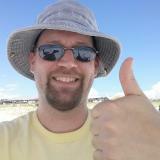 ​Lyle demonstrated two quadcopters - one of which he was receiving video on a modified car DVD player. 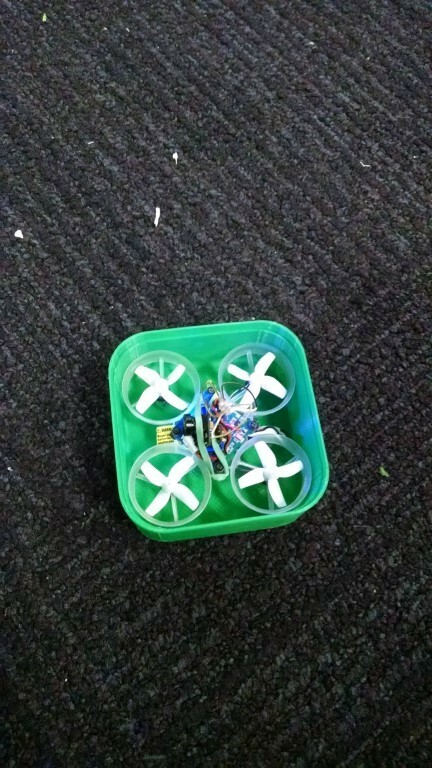 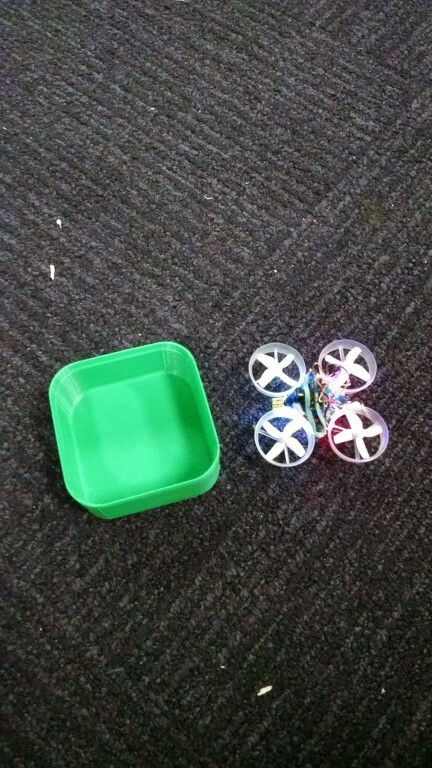 The quad that was displaying the video is a Tiny Whoop and comes as an inexpensive kit. 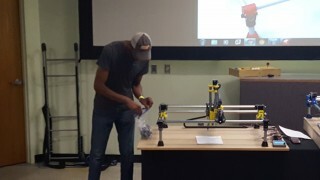 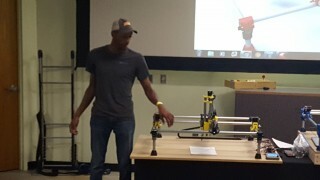 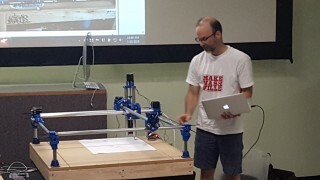 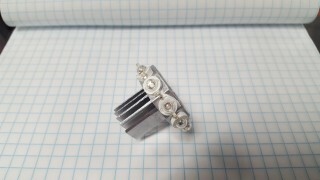 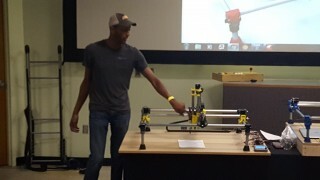 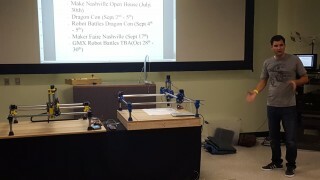 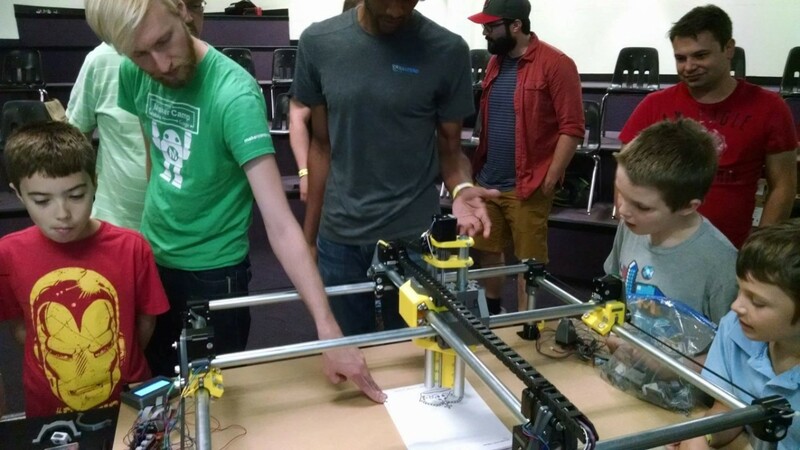 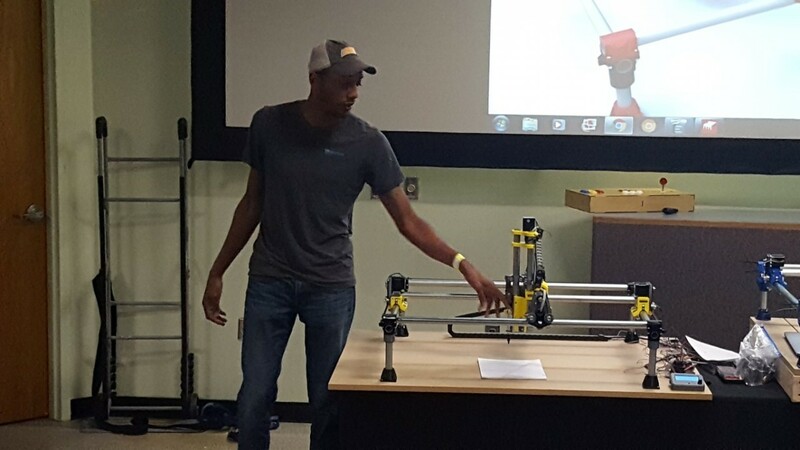 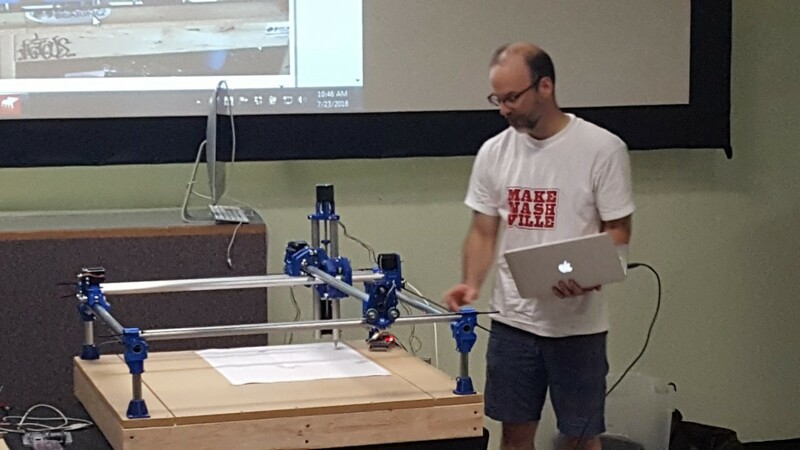 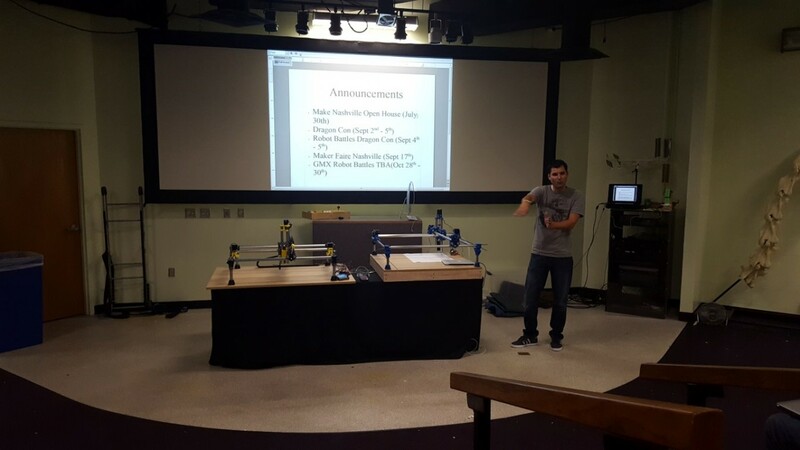 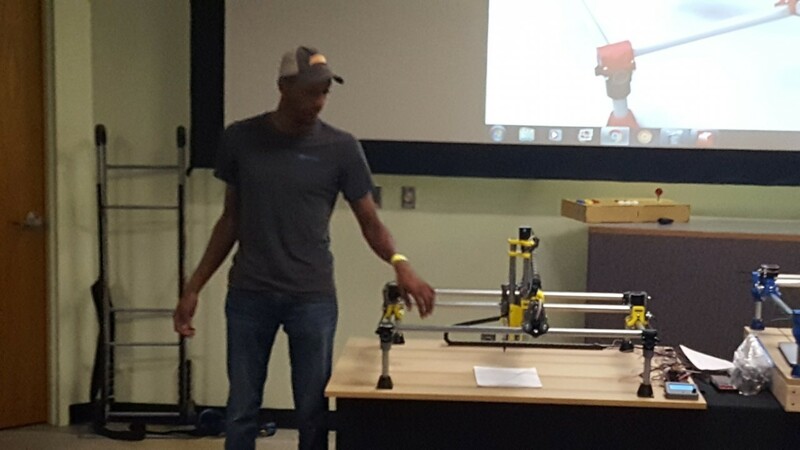 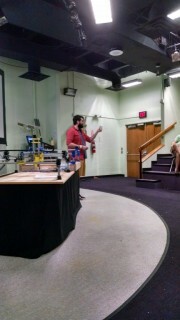 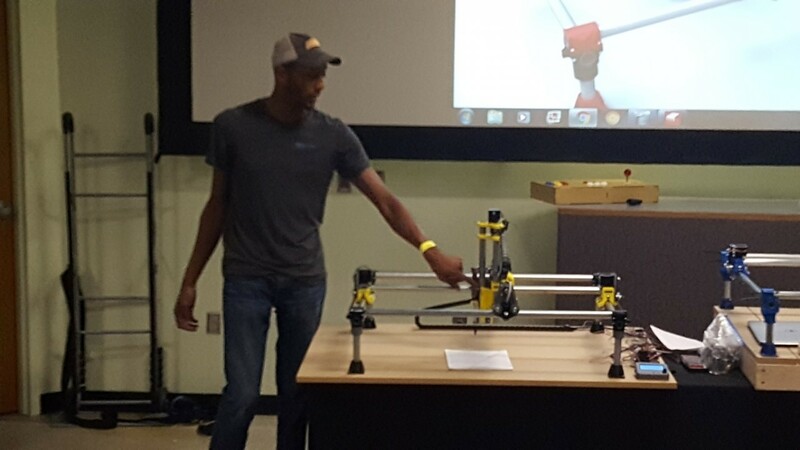 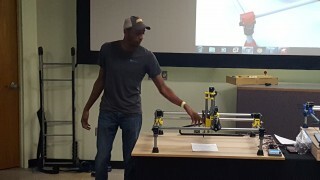 ​Quincy demonstrated his MPCNC project as well. 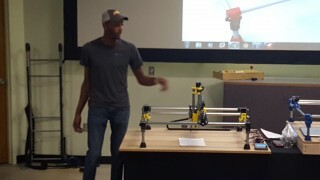 He and Steve jointly discussed the differences between their builds noting that Steve's used version one designs and Quincy's uses some version 2 updates. 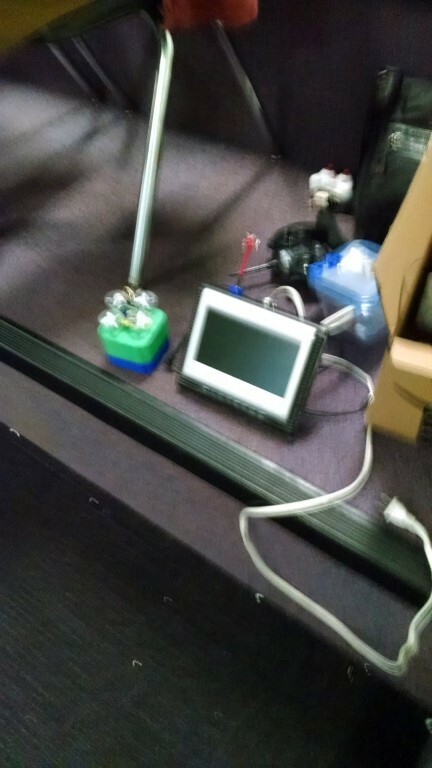 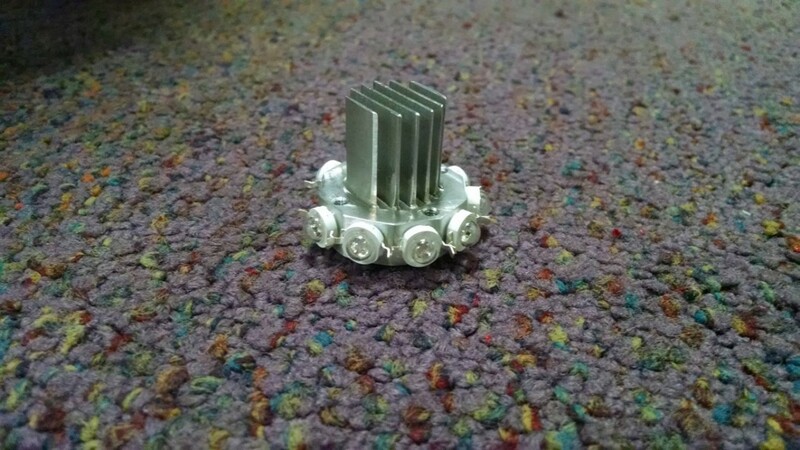 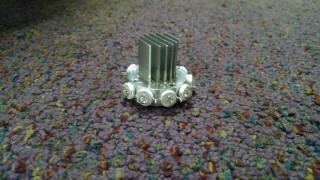 ​Morgan brought in a prototype of an LED project that he developed for work. 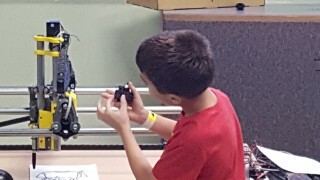 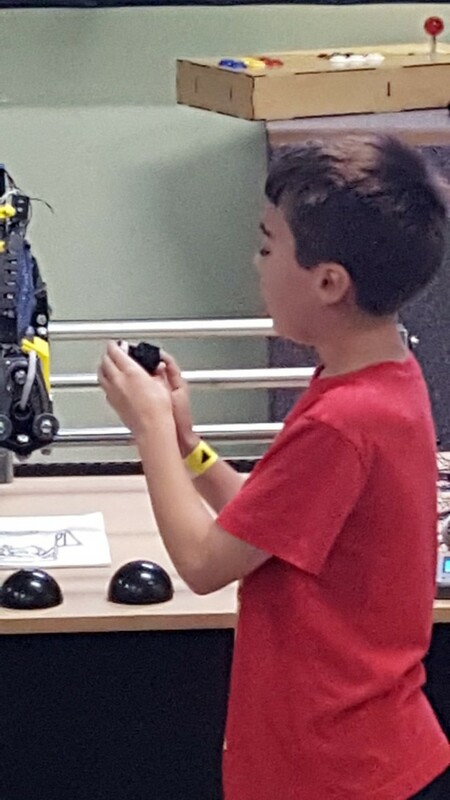 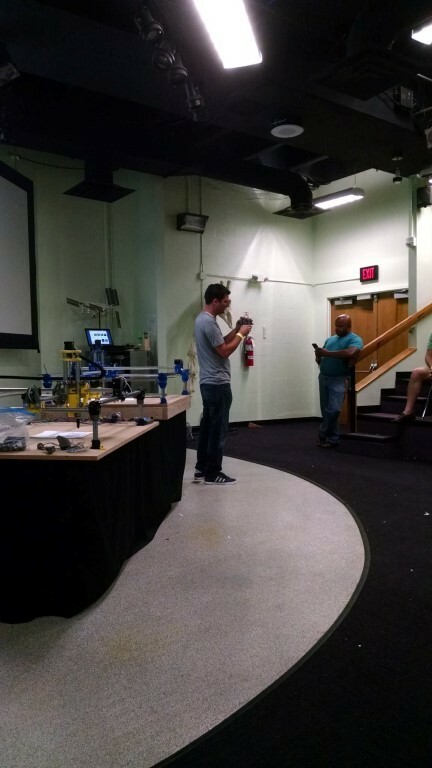 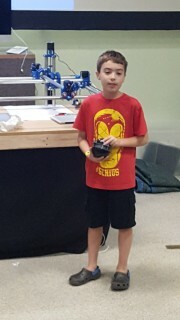 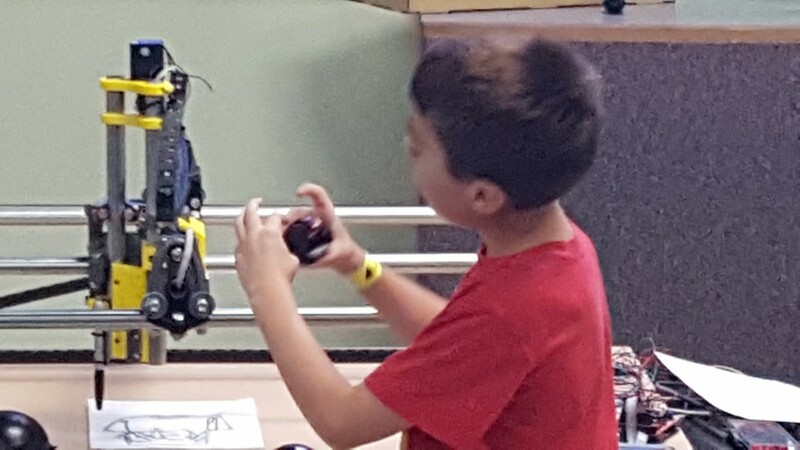 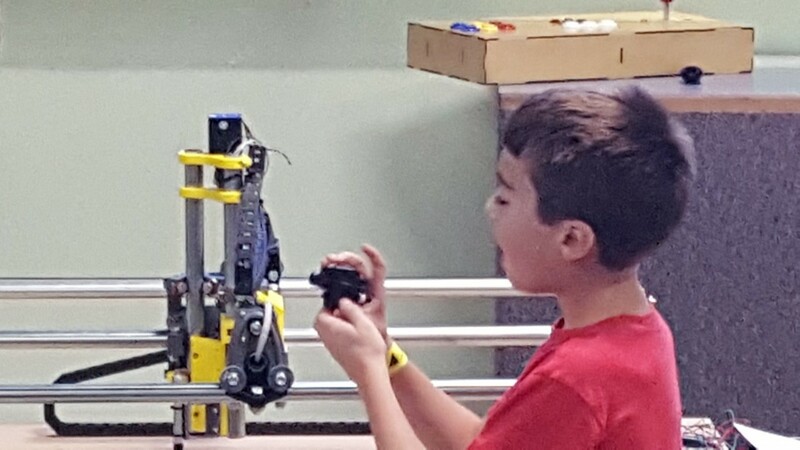 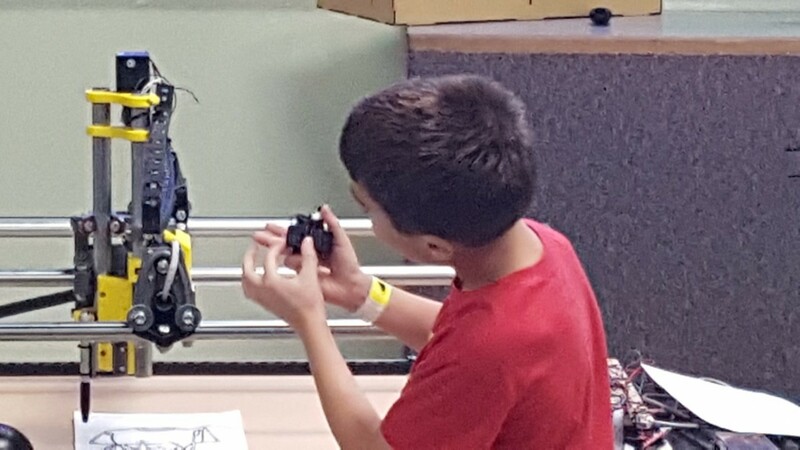 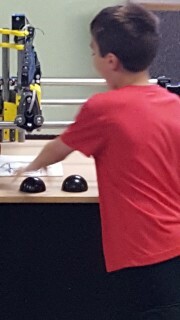 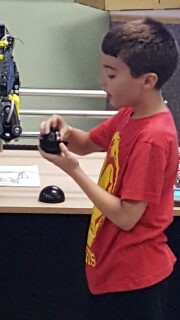 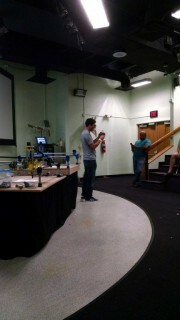 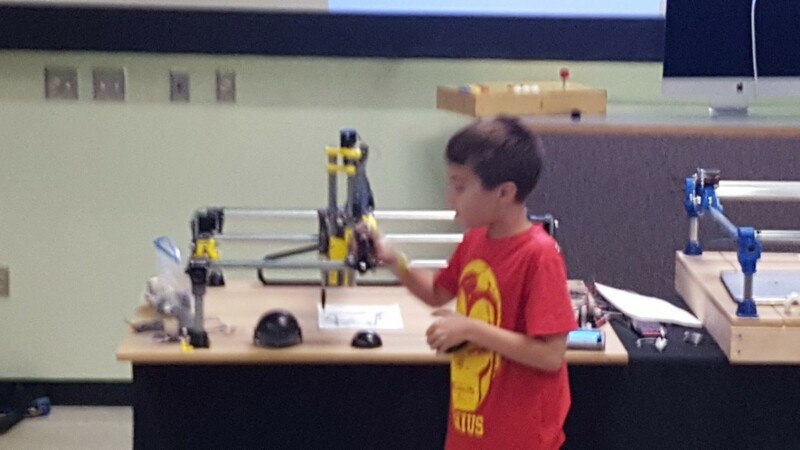 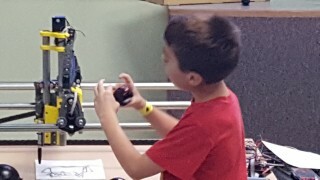 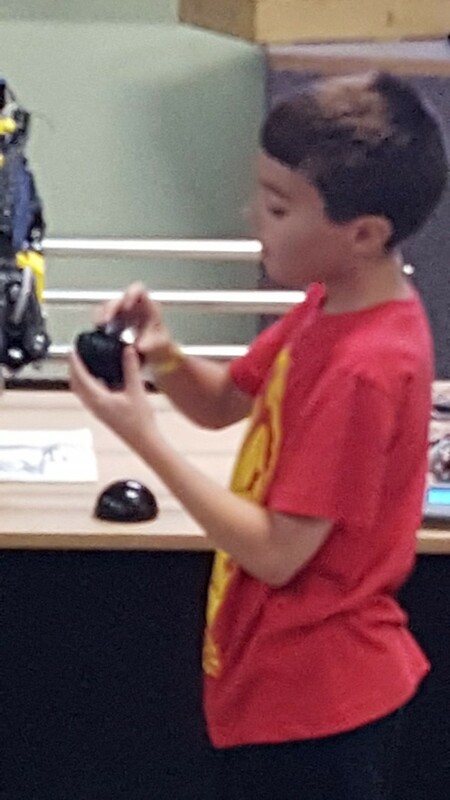 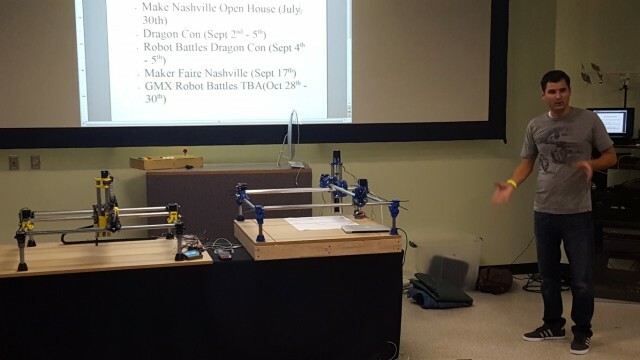 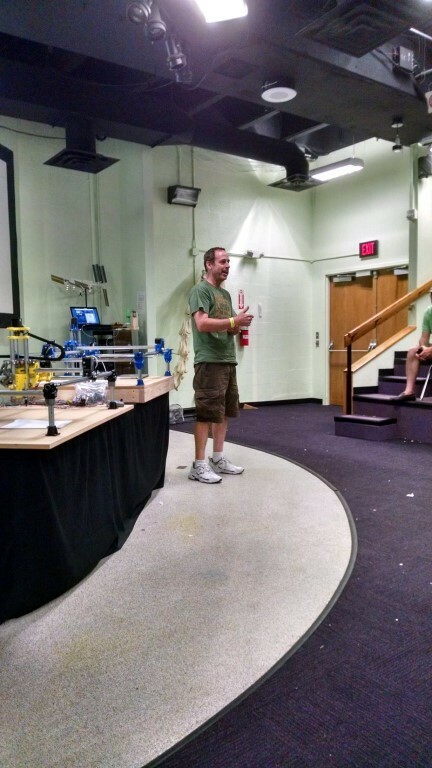 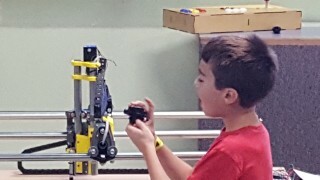 ​Anthony demonstrated a toy ball robot that changes direction when it encounters an obstacle. 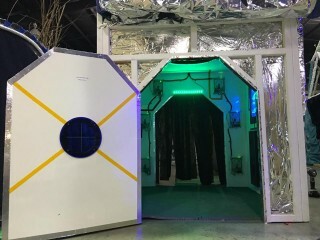 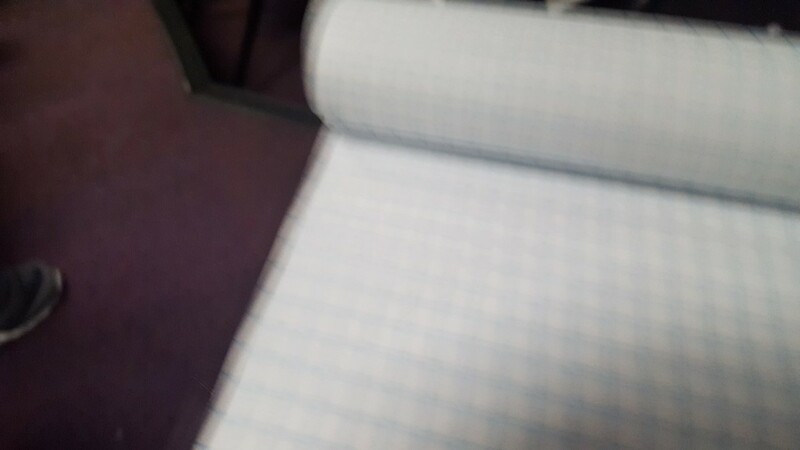 ​Patrick showed pictures from the Modular Art Pod exhibit.